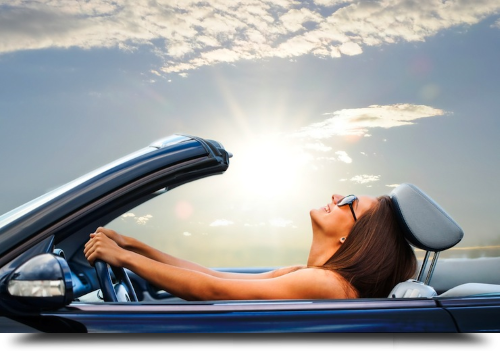 NLC provides auto insurance for persons who live in Connecticut and Rhode Island. We provide dependable service and broad coverage at a competitive price. Bodily Injury Liability Coverage - Protects against claims that result in bodily injury to others caused by an automobile accident for which an insured is legally responsible. Property Damage Liability Coverage - Protects against claims that result in damage to the property of others caused by an automobile accident for which an insured is legally responsible. Medical Payments Coverage – Provides coverage for bodily injury to an insured, family member, or a passenger in an insured vehicle regardless of who is responsible for an accident. Collision Coverage – Provides coverage for damage to a policyholder’s vehicle that is caused by an accident. Comprehensive Coverage - Provides coverage for damage to a policyholder’s vehicle that is caused by fire, theft, flood, or animal collision. This coverage also pays for broken glass to an insured automobile. Uninsured Motorist Coverage – Provides coverage when you, a family member, or passengers in an insured vehicle are injured in an automobile accident and the person responsible for the accident does not have insurance to pay for the injuries. Underinsured Motorist Coverage – Similar to Uninsured Motorists coverage except that the person responsible for the accident has insurance but that person’s limits are less than the insured person’s Underinsured Motorist coverage. Rental Reimbursement, Towing & Labor, and Auto Loan/Lease coverages are available for an additional premium. Find an NLC agent to learn more about our Personal Automobile Insurance program. Learn about our latest accomplishments and key news stories. "My son was involved in a significant accident, and every person we had contact with at NLC made the whole experience simple. Each Employee was professional, responded in a timely manner and followed through on what they told us. Much appreciated!" "I was in the process of purchasing my first home, and the NLC agent had been such a great help. She made the entire experience very easy. I am so glad someone recommended you to me. Thank you"
"A tree about 20 feet from our house was struck by lightning this past summer. The adjuster not only took care of us but also gave us tips on what to watch for in the future. What phenomenal advice. We would have never thought the lightning could run through the roots and affect more trees. We were very comforted by these words of wisdom. Thank you"
Relied upon by our customers to help them sort through what they need for the best. A highly secure network that our customers trust. Providing the best solutions from our range of products to meet our customers needs.